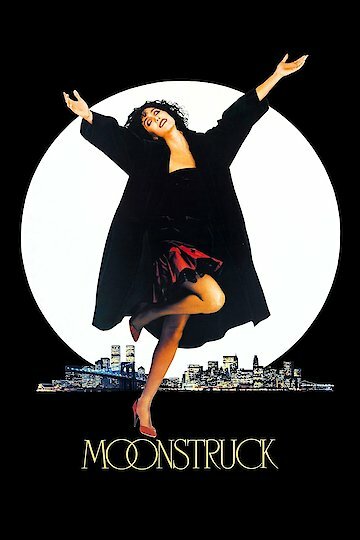 Moonstruck is a romantic comedy which takes place in Brooklyn. Loretta, who is played by Cher, is a widow of Italian descent. At the age of 37, Loretta finds herself living at home with her parents. She has an Italian boyfriend named Johnny who proposes to her one evening when they are out for dinner. Loretta accepts the proposal only after she talks Johnny into getting down on one knee. While making plans for the ceremony, Johnny brings up the subject of his younger brother, whom Loretta has never met. Johnny leaves Loretta in charge of all the wedding preparations while he flies to Sicily to see his ailing mother. Loretta is an extremely superstitious woman who believes she has had nothing but bad luck in the romance department. She attributes her first husband's untimely death to the fact that they did not have a proper wedding ceremony. While making arrangements for the wedding, Johnny calls and reminds Loretta to visit his brother, who owns a nearby bakery. Loretta goes to the bakery and meets Johnny's brother Ronny for the first time. Ronny is an extremely handsome young man who had his hand cut off in a machine several years earlier. The accident left bad feelings between the two brothers because Ronny believes it was Johnny's fault he lost his hand. The story takes a new direction as Loretta and Ronny begin to spend time together. On one occasion Ronny takes Loretta to the opera where is is overwhelmed by the beauty and passion of the show. While a romance begins to kindle between Loretta and Ronny, Loretta's parents marriage is on shaky ground. Her mother suspects her father of having an affair, which turns out to be true when Loretta sees him with another woman. The situations between the two couples are somewhat similar since Loretta is technically engaged to marry Ronny's brother. Loretta gets an unexpected chance to change her mind when Johnny returns home from Sicily. Moonstruck is currently available to watch free on YouTube and stream, download, buy on demand at Amazon Prime, Hulu, Amazon, Vudu, Google Play, FandangoNow, iTunes, YouTube VOD online.